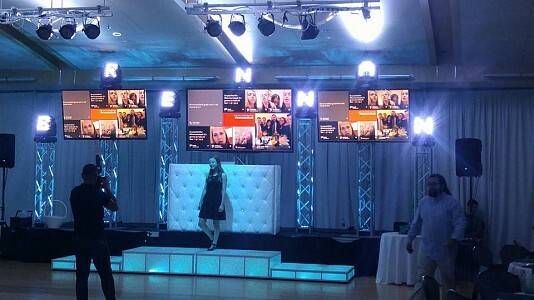 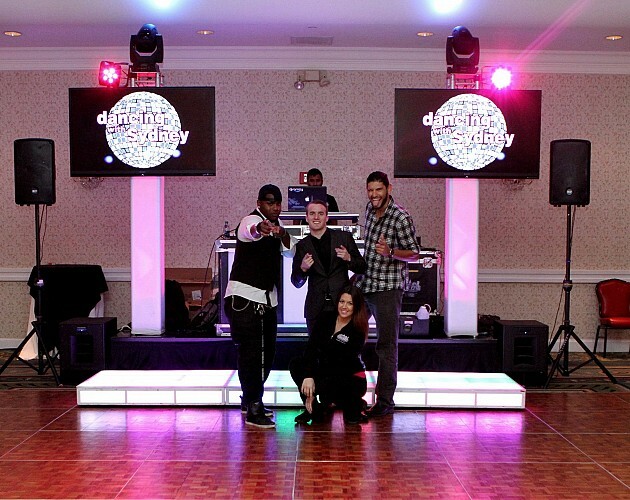 We can accent the dance floor with elevated LED dance stages. 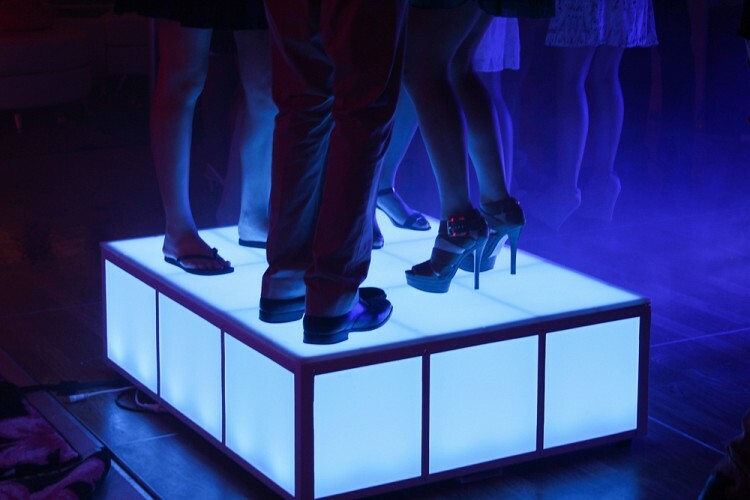 This provides an illuminated platform for your guests to dance “above the crowd” and be seen, or simply provide added height for speeches or toasts. 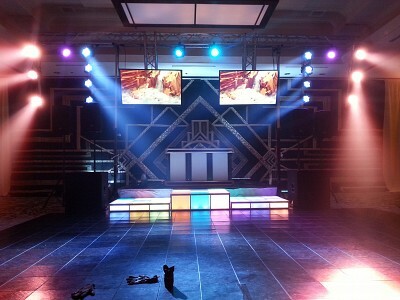 Moreover, we offer traditional staging and risers in several configurations.